Legendary quality. Legendary Performance. Legendary Value. Why choose a jon boat from Tracker? Because the Tracker brand is synonymous with these three distinctives. And the lineup of Topper lightweight and Grizzly heavy-duty jons lives into that tradition. Offering truckbed models starting at 10′ and soaring all the way to the 20′ Center Console, Tracker’s line of utility jon boats meet the demands of every need. So if you’re fishing skinny water with little or no launch access or chasing 50lb. 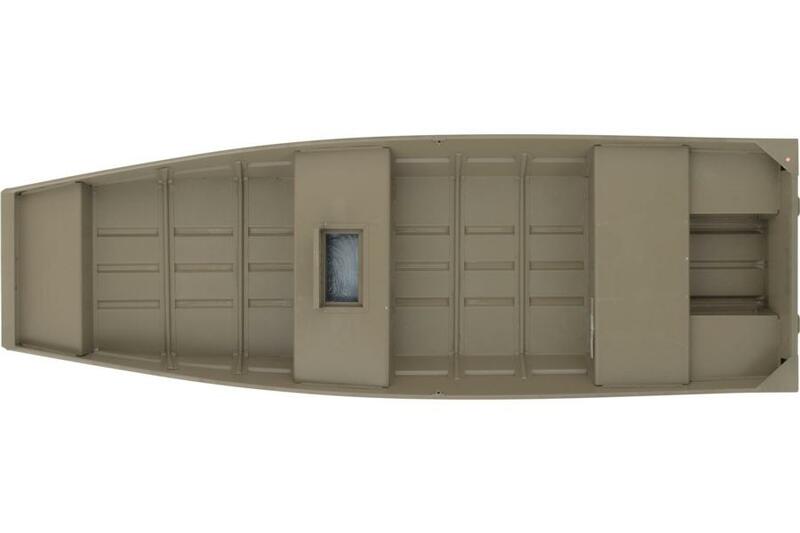 flatheads below a dam, there’s a Grizzly all-welded or Topper riveted aluminum hull for you. in the bed of your pickup truck—no trailer needed. And perfect for ponds, small lakes, and creeks with no ramps. They’ll get you to places other boats can’t. Ranging from 10’ to 15’ in length and as light as 112 pounds, there’s a Topper just right for you. Tracker Grizzlies are built to last. Heavy-duty, all-welded mod-v jons are ideal for work and for play. Whether as a boat by itself, or packaged with a custom-fit trailer, outboard motor, and steering console, Grizzly stands ready for duty. 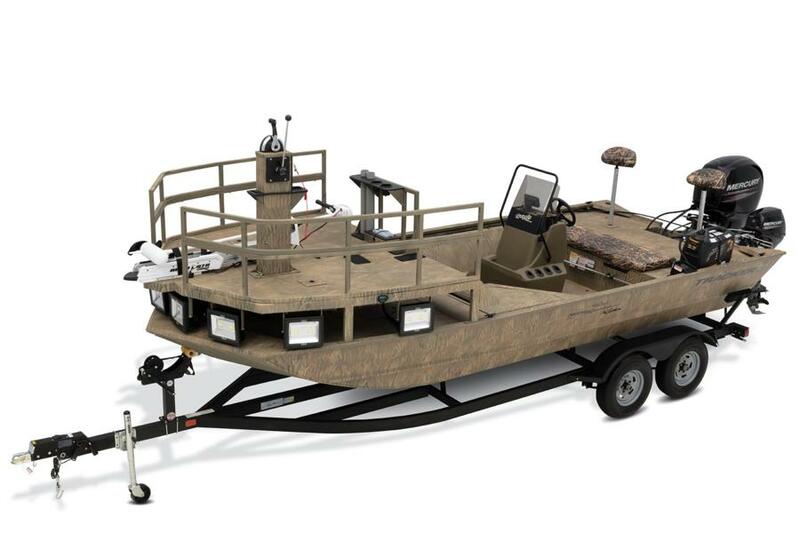 With wide bottoms for stability and stand-up bow platforms, Grizzly jon boats come in 14- to 20-foot sizes with maximum engine ratings up to 150hp. Specialized hunting and bow fishing packages are also available.